What’s with the hula-hooper crossings? Many years ago, my family took a trip to Bar Harbor, Maine. I remember many things about the trip, but one thing is particularly vivid – near a science laboratory just outside of town, there were road signs that appeared to indicate hula hoopers crossing the road ahead. Eleven or twelve-year-old me thought this was hilarious, and I’ve never forgotten. Well, just a few months ago, I went back to Maine and saw the same signs all over again. This got me thinking – what do the signs actually mean? Hula hoopers live in a wide range of habitats. Apparently, the signs don’t mean anything. In fact, they’re just regular pedestrian crossing signs that people have vandalized with stickers that make the pedestrian look like he’s hula-hooping. I suppose that this should have been obvious to me, but maybe I just really wanted to believe. Though I didn’t find a definitive explanation for the origins of the stickers, there is at least one highly-plausible theory circulating. 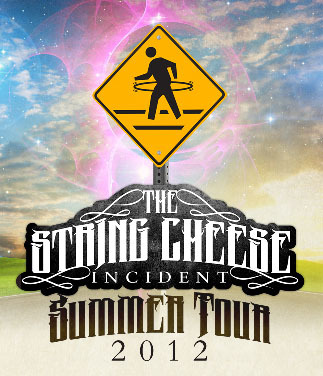 A Colorado band by the name of “The String Cheese Incident” adopted the sign as a mascot (as seen on the logo for their 2012 tour), leading to some speculation that the vandalism was a guerrilla marketing campaign for the group. While that may or may not be true, it’s pretty clear that fans of the group were involved in the spread of the decals. Previous Article In space, what would kill an unprotected human first? I got you fam. I can send you some hoop stickers.